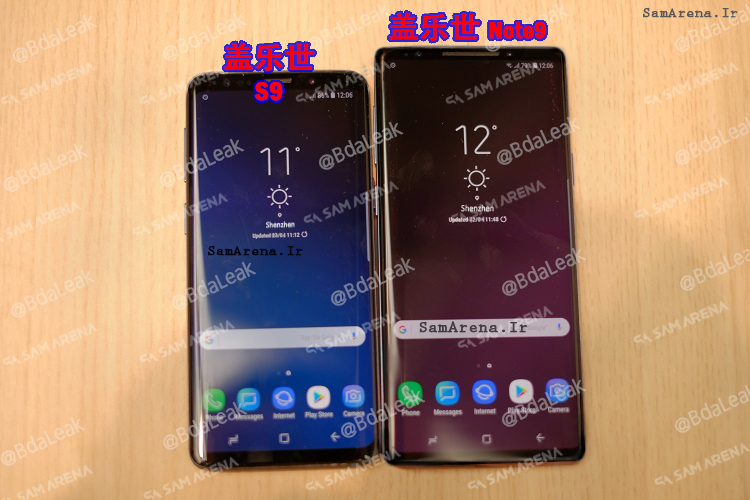 So the time is just right for rumors about the Galaxy Note 9 to begin making the rounds, now that the Galaxy S9 and Galaxy S9+ have been available for purchase for a few weeks, but it looks like someone may have jumped the gun in their eagerness to be the first with live images of Samsung’s next Note flagship. A website called Samrena.ir has published photos of what it says is a Galaxy Note 9 with no fingerprint sensor at the back, thereby suggesting that the fingerprint reader is underneath the display. Samsung has certainly been reported to be considering an in-display fingerprint solution for the Note 9, although the leaked images are anything but the real deal. How do we know? Well, all the images have been taken from various Galaxy S9 hands-on articles, something we were able to discover with a simple reverse image search on Google. Add a bit of Photoshop magic and you have everything you need to make people think they might actually be looking at the Galaxy Note 9. 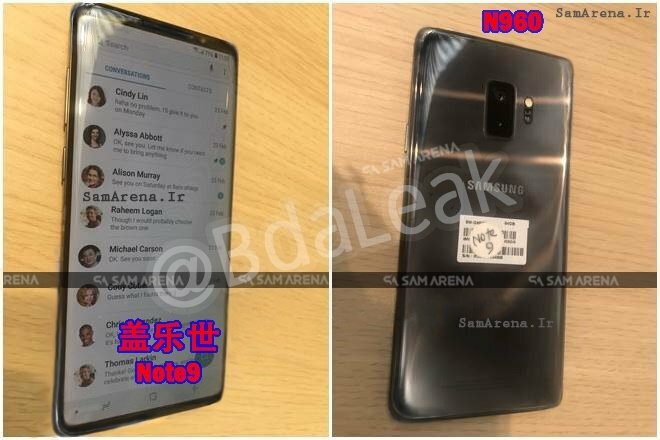 Samsung probably doesn’t even have a working prototype available just yet for actual images of the Galaxy Note 9 leaking out so early. Or maybe it does, but again, these aren’t the images you are looking for if you want a glimpse at the company’s next flagship. We’ll probably have to wait a few months before believable images and leaks start appearing online, and there’s always a chance the Galaxy Note 9 will just be a Galaxy S9+ with an S Pen instead of offering features like an in-display fingerprint sensor to put the kibosh on everyone’s anticipation and expectations. What do you think of these pictures? We’ve added the original and the “leaked” versions side-by-side along with the images from the source of this particular leak, so check them out below and let us know your thoughts by leaving a comment! Why do people bother faking these photos! I really don’t get it, I mean go out and speak to people, socialise and stop wasting your lives away sitting in your underpants surrounded by twinkies and Mountain Dew in your moms basement! Seems pretty legit for a Note series, saquare corners, big screen, dual camera, less bezels and no fingerprint on the rear, hence, built in screen fingerscanner. May seem legit but they have already told you that they have proven the photos to be fake so do not quite understand your comment! Other than the S-Pen, what does the Note provide that the S series cannot? It would be a lot cheaper for Samsung to have only the S9 or S9+ w/S-Pen and push that all year instead of having to pay for marketing for both devices. I love my Note but the two are more similar now than in years past.